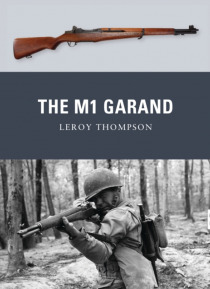 The M1 Garand gave the US infantryman a marked edge during World War II. It shot faster and further than enemy infantry rifles and hit harder. No less an authority on killing the enemy than General George S. Patton called the Garand, The greatest battle implement ever devised. At a time when opposing forces were armed with bolt-action rifles, US troops had a highly reliable self-loader. The eigh… t-round clips which were used to load the M1 Garand were, however, viewed with mixed emotions by the troops on the ground. Some Army and Marine Corps troops allegedly felt that the distinctive twang as the Garand's clip was ejected when empty alerted the enemy that the soldiers were reloading and resulted in an attack. But the Garand became the defining mankiller of the war, despite its weight and magazine problems, and many US combat veterans consider it one of the key reasons they survived the war.